In the next thirty days, we will be closing the chapter called "Levi's Adoption" in our life story. I am so excited to announce that in ONE MONTH we will have Levi's final adoption hearing. I have been doing a lot of thinking about where this blog will go after Levi's adoption is final. Somehow "Our Adoption Adventure" doesn't seem fitting anymore. Yes, I still want to blog about open adoption and any future adoptions we may take part in, but I don't feel like I will have as much content to blog about (as if it's been so plentiful already). SO, stay tuned, because on May 27, I will unvail my future adoption blog plans!!! I was recently contacted by the publisher of this book and they generously sent me two copies. One is for me to read and review, and one is for me to giveaway to a reader. 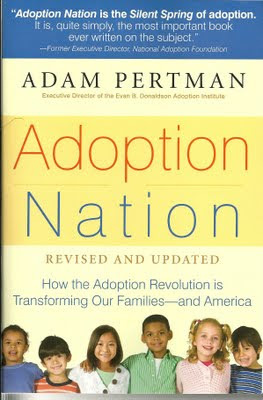 Adoption Nation (2011), by Adam Pertman (adoptive dad and writer) "explores the history and human impact of adoption, explodes the corrosive myths surrounding it, and tells compelling stores about its participants as they grapplw with issues relating to race, identity, equality, discrimination, personal history, and connections with all their families." 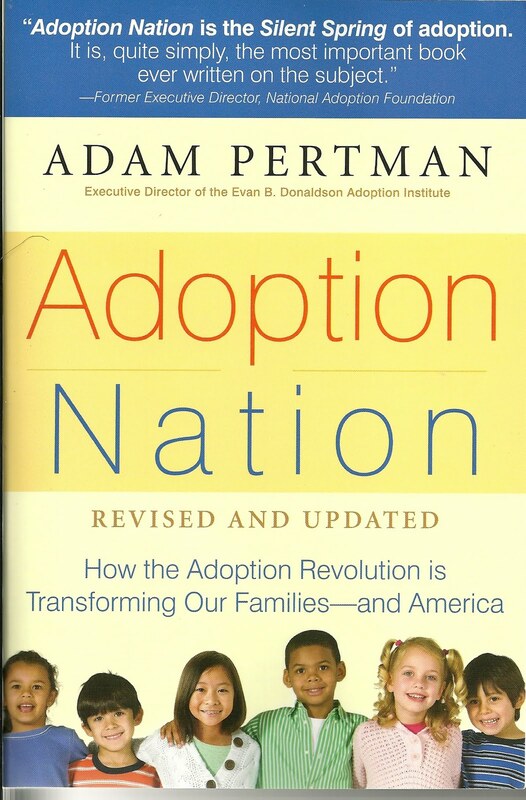 Even if you're not an adoptive parent or adoption hopeful, this is a great book for learning more about the beauty that is adoption, or maybe you have a friend to pass it along to. 1. Post a comment with a suggestion for a new title for this blog. It can be something that addresses adoption and/or motherhood, domestic engineering, thriftiness, or craftiness. 2. Become a follower, and leave a comment telling me you did so. If you are already a follwer, just leave a comment telling me you are. 3. Post about this giveaway on your blog, and leave a comment here. 4. Post about this giveaway on your facebook, then leave a comment here. This giveaway closes on Sunday, May 1 at 11:50 pm. One winner will be chose at random from the comments section of this blog post. How about "Livin' La Vida Levi?" I follow ya already sweet girl! I always read your blog, but I don't think I clicked "follow" - does that count? ;) Anyway, I love hearing all about your stories and drawing inspiration from them!